The SMA has a long link with Italy. Right from its earliest days there were Italian members of the Society. Fr Francesco Borghero SMA is known to every SMA throughout the world. He was one of the first missionaries to evangelise parts of west Africa, setting sail for Africa less than three years after the death of the SMA Founder, Bishop de Brésillac. He was also a noted cartographer of the west coast of Africa. 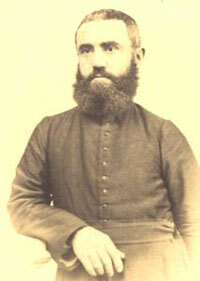 Another Italian SMA, Fr Carlo Zappa, was the founding father of many churches in the mid-west of Nigeria. Arriving in Nigeria in 1885 with Fr Andrew Dornan SMA (from Belfast), he was to serve for 32 years in that part of Nigeria, first at Lokoja and then later at Asaba. Fr Dornan, on the other hand, was dead within the year, like so many other missionaries before him. But for more than 100 years the Italians were members of the ‘Mother Province’ of Lyons. They had no independent unit. When Fr Stephen Harrington (from Tralee, Kerry) became Superior General he took it upon himself to set about the foundation of an independent Italian unit of the SMA. It took 30 years to achieve. His first step was to ask another Irishman, Fr Michael Colleran (from Hollymount, Co Mayo), to officially start the SMA in Italy. Even though the SMA had its international headquarters in Italy (in Rome since 19.. ) there was no distinct SMA presence in the country. Fr Colleran began by visiting the bishops of all the dioceses in Northern Italy to present this project, asking them for permission to visit the seminaries and seek missionary vocations. It was not easy to find a home for the nascent SMA Italian unit. The big northern cities (Milan, Genoa, Verona… ) already had the Motherhouses of several important missionary Institutes. Genoa seemed to be the best prospect: the sea and its big port reminded one of an openness to the wider world and far-away places, the generous and brotherly clergy, and especially the willingness of Cardinal Giuseppe Siri. He looked kindly on Fr Colleran and welcomed him, and the SMA, into the Archdiocese. He also facilitated, in 1953, the acquisition by the SMA General Council of the house of Quarto Castagna, Genoa. That ‘villa’ was then in a big leafy neighbourhood. It was necessary to adapt it to its new role. Zadio Senise was the engineer in charge of the restructuring and renovation of the house. After long and careful preparations, and building work which the students and priests took part in, the new house was inaugurated on 3 September 1960, and solemnly blessed by Cardinal Siri under the name of “Queen of Missions Seminary”. It is this event the Italian Province is now celebrating. From Genoa, Fr Colleran visited the diocesan seminaries. The first SMA seminarians came from the dioceses of Bergamo, Fossano, Asti and Mondovi. Three diocesan priests also joined us: Fr Carmine Carminati from Crema diocese, Fr Mario Boffa (Alba) and Fr Luigi Finotti (Chioggia). From 1961, Father Colleran obtained the collaboration of the Sisters of Our Lady of Apostles (OLA), and the new seminary began to receive candidates who had just completed their secondary school education. Until 1968, those studying Theology went to the SMA Seminary in Lyons, France. From that time onward they were part of the student body at Righi diocesan seminary near us in Genoa. In 1974 the Society established a second SMA house in the diocese of Padua, at Feriole. It remains a centre for mission and vocations animation, welcoming large groups of young people who want to understand the meaning of their Christian calling as well as to consider some period of missionary service in Africa. In 1982, with the establishment of the Italian Province with Fr Carmine Carminati as Provincial Superior, Genoa became the seat of the province. 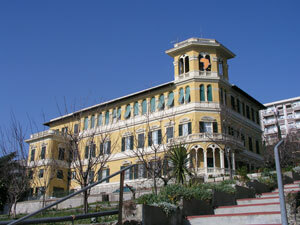 In the second half of the 1980s, it was possible to enlarge the house by the construction of a new wing beside the hill. In this way we hoped to be able to provide about 40 SMA members with a ‘home’ – during their years of active service in mission and then as a house to welcome them when they are less strong or in ill health. They then serve the mission in a different way. Such a house would allow us to avail of the health services in Genoa without losing the precious good of community life with its family feeling, while waiting for the final call. During this half century, the community at via Francesco Borghero have contributed a lot to the birth and the development of the Churches in Africa. Several Italian SMA’s were assigned to teaching in seminaries – in Benin, Ivory Coast and Nigeria. Due to their efforts, and many other SMA and diocesan priests, the local church in these countries are vibrant and brimming with priestly vocations. Today, the Genoa House has a threefold purpose: it is a centre for formation and missionary animation, headquarters for the Italian Provincial administration and a home for elderly and ill missionaries. Those who come to Genoa to celebrate the jubilee on 29 June will undertake a Thanksgiving Pilgrimage, to thank the Lord for 50 years of successful graces, to celebrate the vitality of mission today in Africa and to ask that the Spirit continues to support the faith of the missionaries who, in the middle of difficulties, do not stop announcing the risen Christ. Today the Italian Province has thirty-nine priests. Those in Africa work in Ivory Coast (7), Angola (5), Niger (3) and 1 each in Benin, Morocco and Togo. They continue to play their part in the wider SMA world through their support of the new SMA Districts-in-formation, particularly in Africa. Fr Leopoldo Molena is the Superior of the SMA International Spiritual Year programme in Calavi, Benin which caters for seminarians from all over Africa, India and Poland; Fr Bruno Semplicio is the Postulator for the Canonisation of the SMA Founder, Bishop de Brésillac, as well as having a invaluable ministry preparing texts to help both SMA and diocesan priests deepen their spiritual life. Along with Fr Lorenzo Mandirola SMA, SMA Historical Researcher, he lives at the SMA Generalate in Rome. The financial cost of running an international society, particularly for new units who have little or no financial resources, means that the Italian, as well as the other ‘older’ units, must seek funds to help the new units to develop. This means that some of its older missionaries are ‘out on the road’ seeking funds to help support those who are ‘on the frontline’ in Africa. Thanks be to God there are many people who support the different projects in Africa: famine relief in Niger; digging wells in Ivory Coast; supporting a hospital in Togo etc. But the Province also seeks to care for Africans in Italy. Fr Mauro Armanino, formerly a missionary in Ivory Coast and Liberia, is now working with African immigrants in Genoa. This article was compiled from information supplied by Fr Renzo Rapetti SMA who is on the staff of the Centre for Missionary Formation (CFMA) in Abidjan, Ivory Coast.